Lord Gus O’Donnell, the former Cabinet Secretary, has been announced as the new chair of the economics consultancy, Frontier Economics. He will work one day a week, starting towards the end of this year. His role will involve seeking to change government policies on the behalf of Frontier’s corporate clients, which include Heathrow airport. Frontier has been advising Heathrow on its plans for a 3rd runway and expansion. Frontier Economics produced a report for Heathrow, backing its case as the key hub airport for the UK and its expansion, in September 2011. The Frontier report claimed that London would become only Europe’s 3rd busiest airport (behind Paris and Frankfurt) unless the Government freed up more capacity and enabled more direct flights to emerging markets. The Times comments on how Sir Gus is not the first senior civil servant who has been able to get a very well paid and influential job in consultancy because of their experience in Government, and their contacts there. 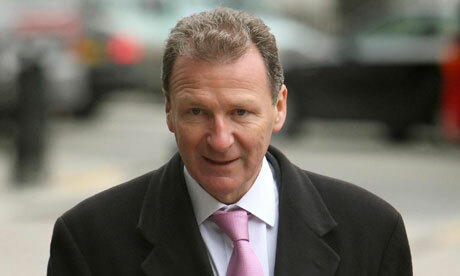 Lord Gus O’Donnell has been announced as the new chair of an economics consultancy. The former cabinet secretary will take up the one-day-a-week role at Frontier Economics in late 2013, when his predecessor Baroness Sarah Hogg retires after 14 years. According to the Financial Times (£), O’Donnell’s new role will involve seeking to change policies on the behalf of Frontier’s corporate clients. Most recently, the consultancy has advised Heathrow airport on its proposal for a third runway. O’Donnell first joined Frontier as a senior adviser in October 2012. His non-executive colleagues on the board will include fellow former cabinet secretary and chief secretary to the Treasury Lord Andrew Turnbull and George Adams, CEO of the Kingfisher trade division. On his appointment, O’Donnell praised the business for its role in applying economics to “tough public and private sector issues” and said its internal culture was “second to none”. Hogg, who has chaired Frontier since its creation in 1999, said she was confident that the company – which has reported steady growth even through the economic downturn – had been left in good hands. O’Donnell has a background in economic policy, having held roles at the International Monetary Fund and World Bank, as well as being head of the Government Economic Service. He retired from the civil service in 2011 and was made a life peer in early 2012. “This report demonstrates that Heathrow is a highly successful hub airport, but it could offer far more than it does at present, with the UK missing out as a result. The gap between what Heathrow is able to deliver and what it could deliver is growing, with important consequences for the UK economy. The Government has ruled out an increase in airport capacity in London and the South East, but for the foreseeable future, Heathrow is the only airport in the UK that has the scale and capability as a global hub. Some have suggested building a new hub airport in the South East, but estimates suggest that that may take as long as 25 years to build at a cost of £40 billion. By then it may be too late. This report demonstrates the importance of a hub in providing the connectivity to global markets upon which growth and recovery depends. Safeguarding and strengthening that connectivity means promoting and protecting the comparative advantage Britain enjoys from having a hub airport. And in the near term, Heathrow is the only airport that can perform that function. Augustine Thomas O’Donnell, Baron O’Donnell, GCB (born 1 October 1952), is a former British senior civil servant and economist, who between 2005 and 2011 (under three Prime Ministers) served as the Cabinet Secretary, the highest official in the British Civil Service. O’Donnell announced after the 2010 General Election that he would step down within that Parliament, and did so at the end of the year 2011. His post was then split into three positions: he was succeeded as Cabinet Secretary by Sir Jeremy Heywood, as Head of the Home Civil Service by Sir Bob Kerslake (in a part-time role), and as Permanent Secretary in the Cabinet Office by Ian Watmore. Whilst Cabinet Secretary, O’Donnell was regularly referred to within the Civil Service, and subsequently in the popular press, as GOD; this was mainly because of his initials. In 2012, O’Donnell joined Frontier Economics as a Senior Advisor. Former Cabinet Secretary Gus O’Donnell has been accused of ‘cashing in’ on his Government connections by accepting a top role with a private consultancy. Critics say there is a conflict of interest in his new job as chairman of Frontier Economics, which has been working on Heathrow Airport’s third runway bid. The leading financial consultancy lobbies ministers on behalf of its high-profile clients, mainly blue chip companies. Lord O’Donnell, who received a peerage when his reign as Britain’s top civil servant ended, takes over from former Downing Street policy advisor Sarah Hogg, who is stepping down after 14 years at the company. It comes at a crucial time for the controversial third runway bid, for which the firm has highlighted the potential economic benefits. A report published by Frontier this month says the UK could miss out on £14billion of trade in the next decade without it. During his time as Cabinet Secretary, between 2005 and 2011, Lord O’Donnell presided over a large increase in the number of consultants employed by Whitehall departments. He joined Frontier in 2012 as a senior advisor and was promoted yesterday to chairman. Non-executive board members include Lord Turnbull, Lord O’Donnell’s predecessor as Cabinet Secretary. Lord O’Donnell, the former Cabinet Secretary, is to head a consultancy advising Heathrow airport on its bid for extra runways. Gus O’Donnell, known at Whitehall by his initials GOD, is taking over from Sarah Hogg, a former Downing Street policy adviser, to chair Frontier Economics, a leading consultancy. Posted: Tuesday, July 30th, 2013. Filed in General News, News about Airports, Recent News.